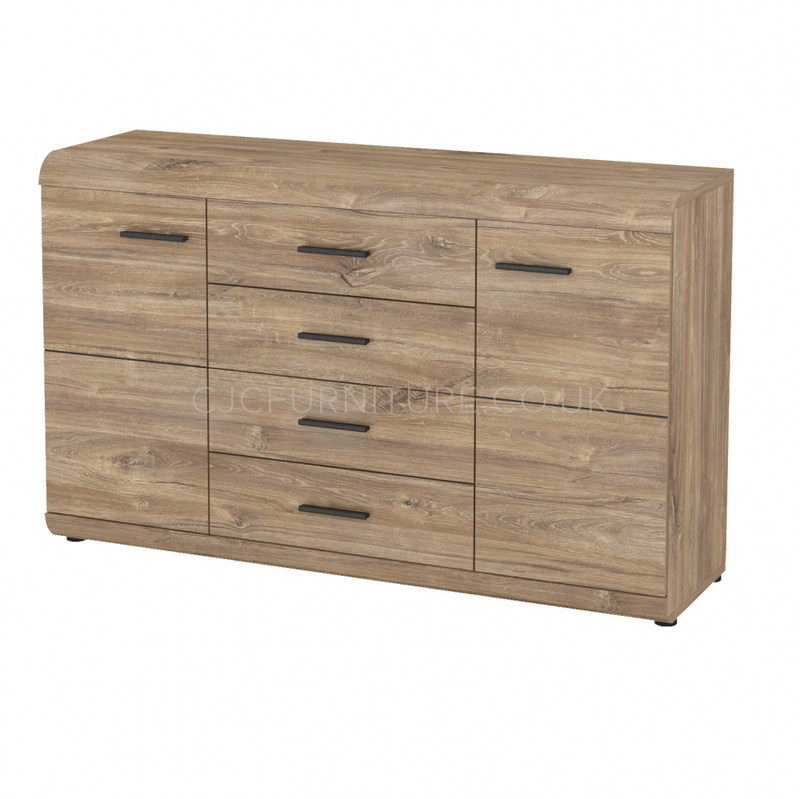 Sleek and modern sideboard from the Link collection. The main feature of the range is the design of its edges with the original rounded shape. 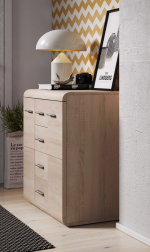 The sideboard is divided into 3 separate sections with spacious shelves behind the doors on each side and 4 comfortable drawers in the middle. Elegant handles in black colour beautifully contrast the warm wood effect colour and make it easy to open the unit. It has been created out of high quality laminated board, MDF, additionally strengthened with ABS edges. The product is available in Sonoma oak or Stirling Oak colour. This product comes flat packed and requires self-assembly. We can provide the assembly service upon customer request for an extra charge. Pictures are for illustration purposes only; Due to stock changes product design may vary. Order processing time may vary due to stock availability. Till stock lasts.